The NWMC Planning Committee is composed entirely of students from UWSOM, PNWU, OHSU, COMP-NW, and WSU-ESFCOM. Ryan is a third year medical student at the Oregon Health & Science University School of Medicine. A native Oregonian, Ryan developed a passion for outdoor sports through rock climbing and became interested in medicine’s role in the pre-hospital setting while taking a technical rescue course with the University of Oregon Outdoor Leadership Program. Ryan is a former lead of the OHSU WMIG and worked on NWWMC17. His favorites: “Wherever I May Roam 5.9,” the Goat Lake Loop in the Gifford- Pinchot Wilderness, and anything from Backpedal Brewery. Carlos is a second-year medical student at the University of Washington School of Medicine. His passion for medicine stems from working closely with farmworkers, immigrants and low-income families at Columbia Valley Community Health Center in Wenatchee, WA. He satisfies his itch for adventure through rock climbing, hiking, mountaineering, skiing, and snowboarding. Carlos was raised in the Wenatchee Valley, located near Leavenworth, the Enchantments, and the Cascades. He currently helps lead the Wilderness Medicine Interest Group at the UW. Carlos is a fan of multi-pitch rock climbing, enjoying a good brew at the summit, and laughin’ with his buds. 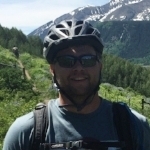 Justin is a third year medical student and president of the Wilderness Medicine Club at Pacific Northwest University of Health Sciences in Yakima, WA. In addition to being an Eagle Scout, and earning his EMT-B in 2008, he spent 5 years serving in the US Army as a combat medic practicing field medicine in both Iraq and Afghanistan. During his free time he enjoys hiking with his dogs, skiing, and biking. Alex is a 2nd year medical student at the Washington State University Elson S. Floyd College of Medicine. Alex worked as EMT while attending college in New Orleans, and developed an interested in wilderness medicine while living and working in Yosemite National Park as a member of Yosemite Search and Rescue. In subsequent years he worked as an NPS Ranger in both Sequoia and Kings Canyon National Parks. During his free time Alex enjoys biking, trail running, climbing, and skiing. Bailey is a 2nd year medical student at the University of Washington School of Medicine. She got involved in outdoor adventuring in 2008 and has since enjoyed trail running, long-distance backpacking, backcountry skiing, mountaineering, and cycling. At this point, she is most inclined towards first point-of-care patient interactions, like primary care or emergency medicine and is looking forward to completing her training with King County Explorer Search and Rescue this year. Other interests include cooking and fiber arts. Jodi Spangler is a 2nd year medical student at the University of Washington School of Medicine. Jodi worked in international disaster response as an EMT. She has since started a mobile clinic in Haiti and runs a skydive program for patients with tough diagnoses. She currently helps run the Wilderness Medicine Interest Group at UW. When not in school, you can find her surfing, hiking, skydiving, or snapping a million pictures. Kate is a second year medical student at the Oregon Health & Science University School of Medicine. A native Oregonian, Kate grew up camping, rafting, and hiking throughout the Pacific Northwest. She developed an interest in wilderness medicine after meeting a wide range of talented SAR personnel, patrollers, and medics through her outdoor adventures. When avoiding medical school responsibilities she can be found skiing, hiking, or camping on Mt. Hood. She is also a leader of the OHSU Wilderness Medicine Interest Group. Lavinia is a second year medical student at the Oregon Health & Science University School of Medicine. Lavinia moved from Romania to Oregon where she developed a love for the wilderness and breweries. She has an interest in acute care medicine, including wilderness and pre-hospital medicine. Her interests include skiing/snowboarding, climbing, hiking with her dog, and collecting new hobbies. Nicole is a second year medical student at Western University of Health Sciences College of Osteopathic Medicine of the Pacific Northwest. Nicole serves as the Vice President of COMP-NW’s Wilderness Medicine club. Nicole worked in the pharmaceutical industry in Boston for four years before realizing a need to spend more time outdoors and a desire to work more closely with people through medicine. Nicole enjoys skiing, hiking, and spending time with her dog, Wonton. Stephen is second year medical student at Western University of Health Sciences College of Osteopathic Medicine of the Pacific Northwest. Stephen is the Conference Coordinator of COMPNW’s Wilderness Medicine club. Stephen grew up in Reno, Nevada enjoying all the activities the Sierra Nevada Mountains have to offer particularly backpacking, fly fishing and snowboarding. Stephen dreams of practicing rural medicine in an acute care setting whilst shredding big peaks and landing huge fish. Tom is a second year medical student at the University of Washington School of Medicine. He grew up backpacking throughout the Cascades and eastern Washington.He got his first taste of medicine through a wilderness-EMT course with Remote Medical Institute and spent four years working as EMT/Firefighter in both White Center, WA and Walla Walla, WA. He continues to enjoy hiking the I-90 corridor and spending long weekends up in the mountains. Audriana Mooth is a second year medical student at COMP-NW. As an ATC, she has a background in sports medicine and a love of athletic tape, sling-kits, and dri-fit. As with most everyone else here, she is an avid hiker and often enjoys the company of evergreens more than people. I’m a second year medical student at COMP-NW. I’m originally from Western Colorado and have always loved EMS and wilderness medicine. Prior to med school I worked as an EMT at a rural fire department as well as an ER tech in level II and III emergency departments. I also currently volunteer at our local fire department in Lebanon, OR. I’m looking forward to passing what knowledge I have to others and gaining more from all the amazing speakers at the conference!